The twist in this standard Teriyaki Chicken recipe is the use of a combination of searing and baking when cooking the chicken. The result is a perfectly cooked piece of chicken that has a crisp outside and a moist and tender inside. Baking the chicken enables cooking the meat slowly and helps ensure achieving the perfect doneness. Also, it allows for applying an additional layer of sauce to the chicken while it is cooking to give it more of a glazed effect. Remove bone from chicken thigh, dry with a paper towel. 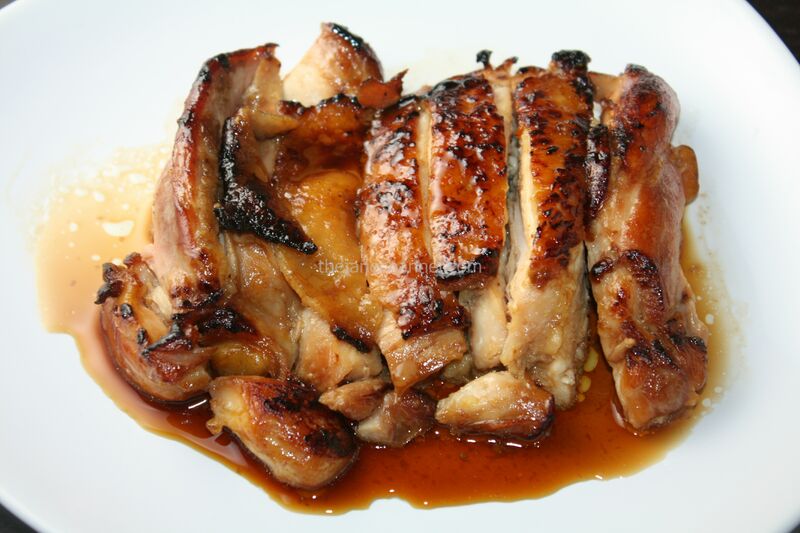 In a bowl, combine soy sauce, mirin, sugar, sake and ginger and marinate the chicken for an hour. Heat oil in a skillet over high heat. Place the chicken on the pan (skin side down), sear for 1-2 minutes until the skin is browned. Remove from skillet. 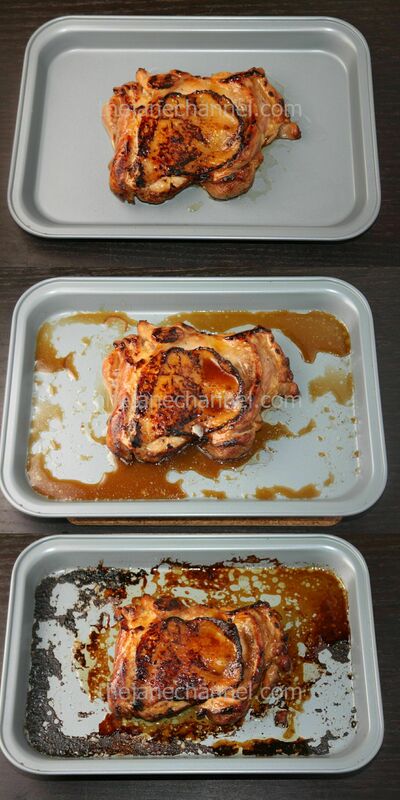 Place chicken in a baking dish (skin side up). Bake in the preheated over at 400 degrees for 5 minutes. Remove chicken from oven. Brush chicken with the remaining sauce from marinate. Bake the chicken for another 20 minutes or until no longer pink and juices run clear. So one chicken thigh is only enough for one person right? Lol. I assume if I want to feed more people I just have to increase all the ingredients.